Harry returns to Hogwart’s and so does an ancient evil. Who has opened the Chamber of Secrets? Harry Potter (Daniel Radcliffe) is pretty much a prisoner of the Dursley’s (Richard Griffiths, Fiona Shaw) as they attempt to prevent him rejoining his magical world. Rescued by Ron Weasley (Rupert Grint) and his twin brothers, George and Fred (James Phelps, Oliver Phelps), Harry meets the rest of the Weasleys (Julie Walters, Mark Williams, Bonnie Wright) and sees for the first time the wonders of a magical household. Already Harry has received a mysterious warning – from a house elf named Dobbie, that he must not return to Hogwart’s. When the time comes though he and Ron find themselves unable to get onto Platform 9¾. After an adventure with Mr Weasley’s flying car, nearly getting expelled and being introduced to their new Defence against the Dark Arts tutor, Gilderoy Lockhart (Kenneth Branagh), life is busy and difficult enough. But worse is to come. An evil has been released into Hogwart’s that dates back to its earliest days – those of Salazar Slytherin. A campaign of terror is then launched against “mud bloods”, wizards not from pure wizarding families. 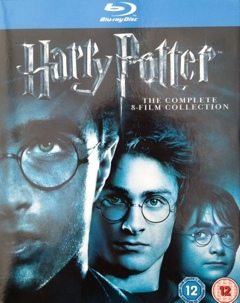 Can Harry and Ron, now joined by Hermione (Emma Watson), stop the creature – or even find it – before someone is killed? This story is all about setting up the back story of Tom Riddle and Lord Voldemort, plus introducing more wonderful magic and history to the world of Hogwart’s. The effects are edged up a little from the previous movie and the plot is more complex and complete than the first. 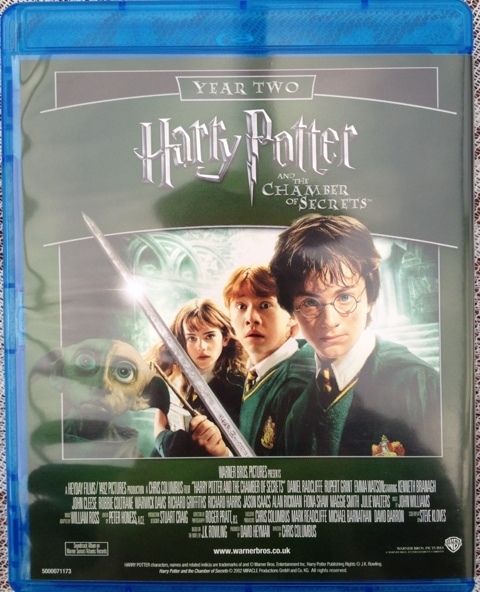 The Chamber of Secrets serves as a powerful plot device able to expand the story in several directions at once. Again, some minor tweaks from the book but still the essentially unchanged. The young actors pick up their game a bit more, helped by a hammy and brilliant performance by Kenneth Branagh. Dobbie is a decent addition too. Dobbie, Moaning Myrtle (Shirley Henderson), Basilisk, flying cakes and cars, whomping willow, Fawks the Phoenix – the effects are there to be seen and all carried off expertly. A lot of future plot is hinted at in this movie and for that reason it sort of trumps the first.